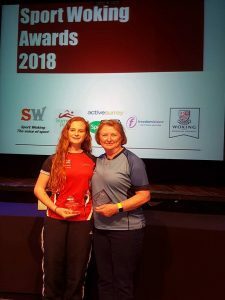 Here are the Woking Archery Club members that have achieved awards recognised, Huge congratulations to everyone. 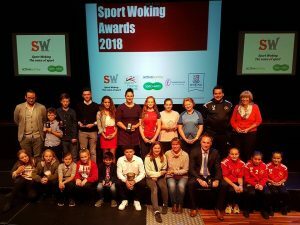 A great evening for Working Archery Club at the Woking Sports Awards. 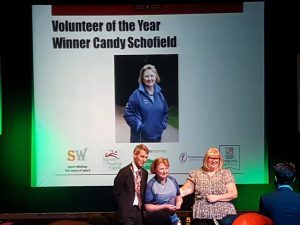 Special congratulations to our winners Candy Schofield winning Woking Volunteer of the Year and Louisa Piper who won Woking Sports Personality of the year. Congratulations to all of this evening’s awards winners. 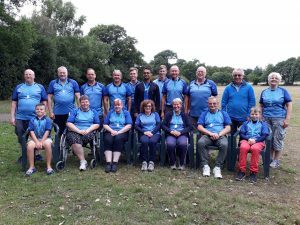 HERE is a selection of photos from the 35th Woking Archery Club Open, from last Sunday. The weather was very kind to us, and it was a great day all round. Keith and Matt took a lot of photos of the 50th Anniversary Club Shoot on Sunday 2nd September. Click the target to the left, or HERE to see around 150 of them. We had a great day on Sunday, shooting the second leg of the “Flag.” Field Captain, Chris Woodgate, kept everything moving along nicely, just in case the weather turned for the worst. but as it was, we only had a heavy drops of rain here and there. The BBQ went down very well at lunch, as did the sandwiches and cakes we had after the shoot, while the results were being calculated. 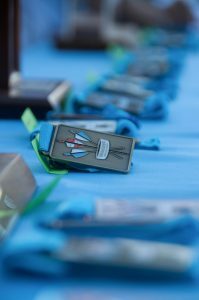 Our Lady Paramount, Nicola Davies, did an excellent job of handing out the medals and it was lovely to see all 4 Clubs receive lots of medals. Congratulations to Guildford for winning the Albion Team Trophy and Junior Team Trophy this year and Alton & Four Marks winning the Windsor Team Trophy. I must thank Kevin Molloy and Andrew Cawte from Guildford, for running the very efficient scoring programme and getting the results out quickly. 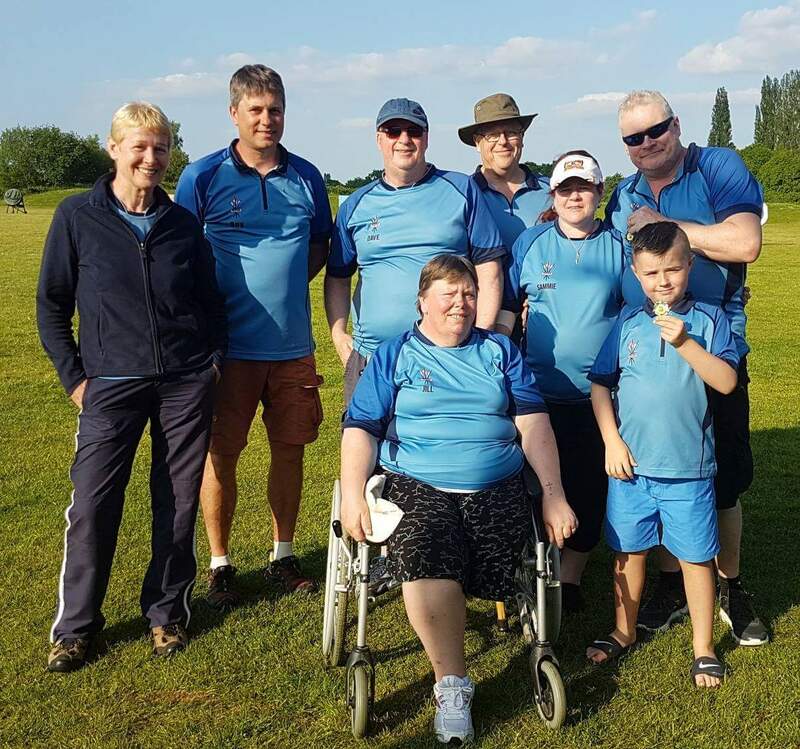 Also thank you, the archers, from all 4 Clubs – Farnham, Alton & Four Marks, Guildford and Woking Archery Club – for making the day so enjoyable. As with all shoots, there are so many people behind the scenes helping out to make the day a success. So I wish to thank Brenda and Pete, Chris Woodgate and Kate, Susan Bayley, Dave Stickland, Alan and Alex for coming down Saturday afternoon to help set out the field and put up gazebos. And on Sunday – A huge thank you to Kelly for doing all the cooking, Nicola, Kate and Sue Cox for helping with the kitchen. See the FLAG results here. A massive thank you to Helen Ruffle who tirelessly makes sure all our shoots happen and run smoothly. If its not be immediately obvious, Helen spends many hours making sure everything is organised not just on the day but before and afterwards. A guaranteed win for Woking AC with James Woodgate and Louisa Piper are up against each other in gold mixed team match at the Youth Festival this morning – at around 10.20. It will live streaming online and live scores on Ianseo. James and Louisa are in opposing teams in the gold medal mixed team final today at Lilleshall. 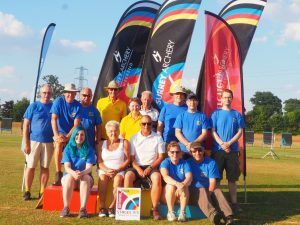 Candy and Mark organise the Surrey Archery Weekend on behalf of the county and AGB. 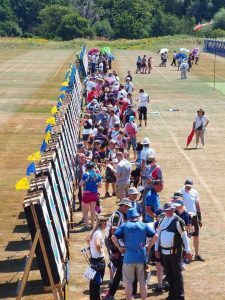 This is a Tier 1 event for National Rankings and is the largest archery event in the country. 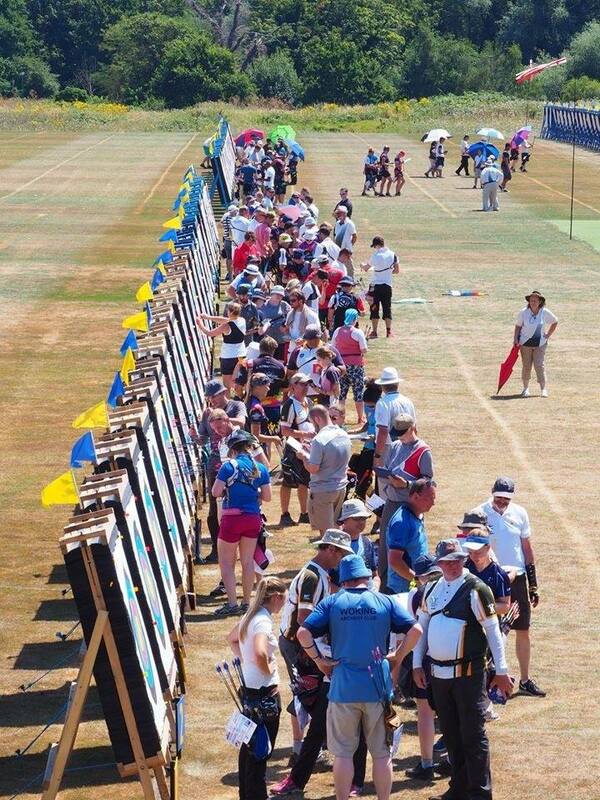 People came from Scotland down to the West Country with several international archers competing. The British team including Eleanor Piper have won two shoot-offs in three matches to make the gold medal match at the fourth stage of the 2018 Hyundai Archery World Cup in Berlin, Germany. 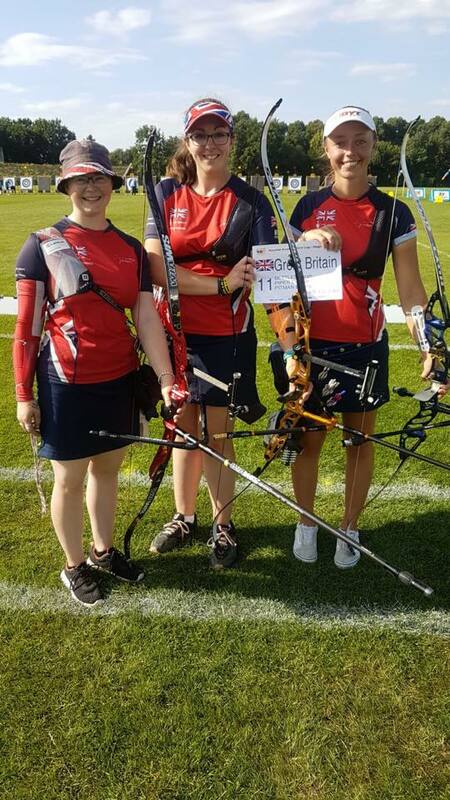 Watch the GB team in the gold medal match at the fourth stage of the 2018 Hyundai Archery World Cup in Berlin, Germany will be showing live on the BBC website tomorrow morning just after 8:30 a link with details is below. 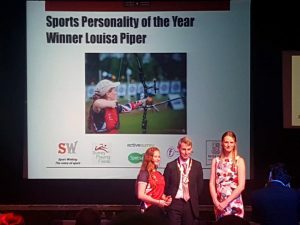 Calling all WAC junior archers! The sun is out, school holidays are looming and that can only mean one thing – the AGB Summer Metrics are upon us once again! 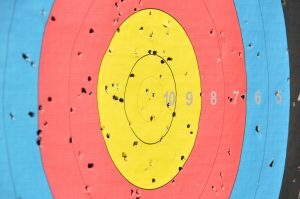 Check what distances you should be shooting (remember to do this on an 80cm face though), download a scoresheet and ask an adult to score you. Then use the SurveyMonkey link to directly enter your best score shot during July or August but before 23rd Sept.
Congratulations to everyone that shot at the FLAG shoot at Guildford Archery Club today. Thanks also to Guildford for putting on a great shoot.